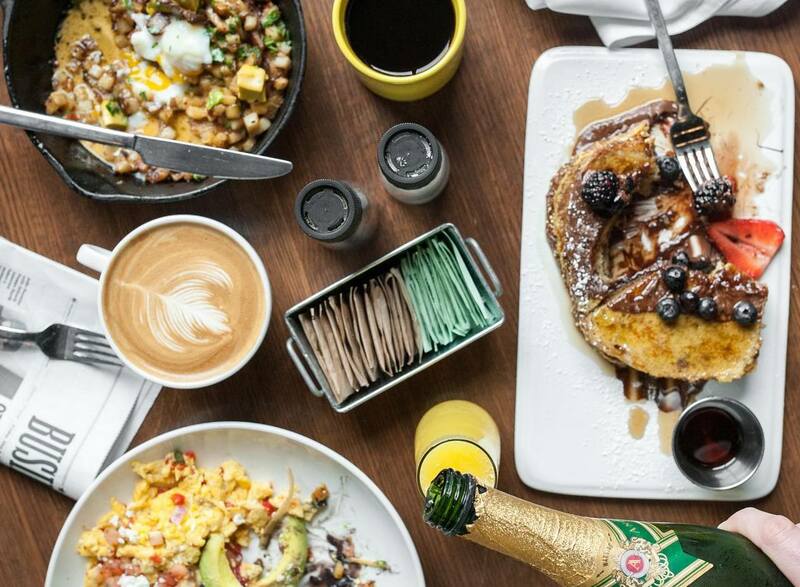 Houston may be known for its barbecue and Tex-Mex, but this city really loves to brunch, too. So, if you’ve taken advantage of the weekend and slept your way past breakfast, that’s quite alright. H-Town happens to be home to plenty of eateries serving up incredible midday meals. But just because you're in the mood to indulge doesn't mean you have to double down with biscuits and gravy and a side of bacon. 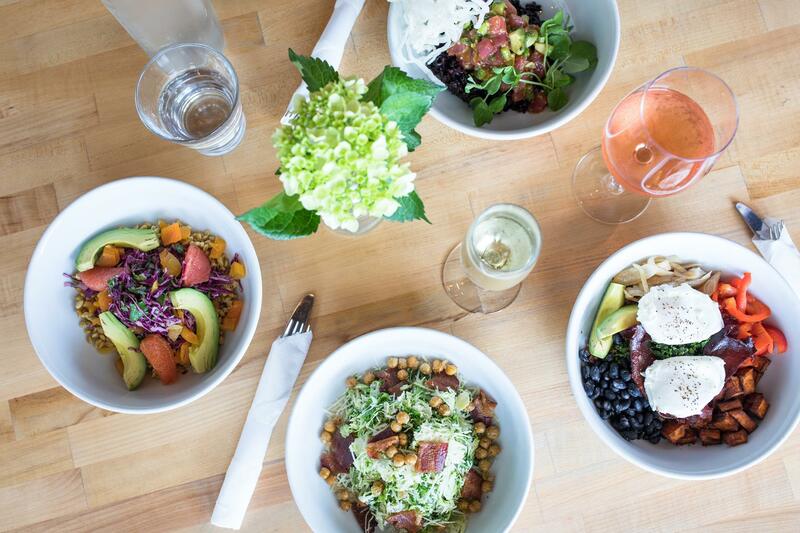 Alongside marinated meats and breakfast tacos are local spots offering healthy brunch options you'll have to taste to believe. Not sure where to start? 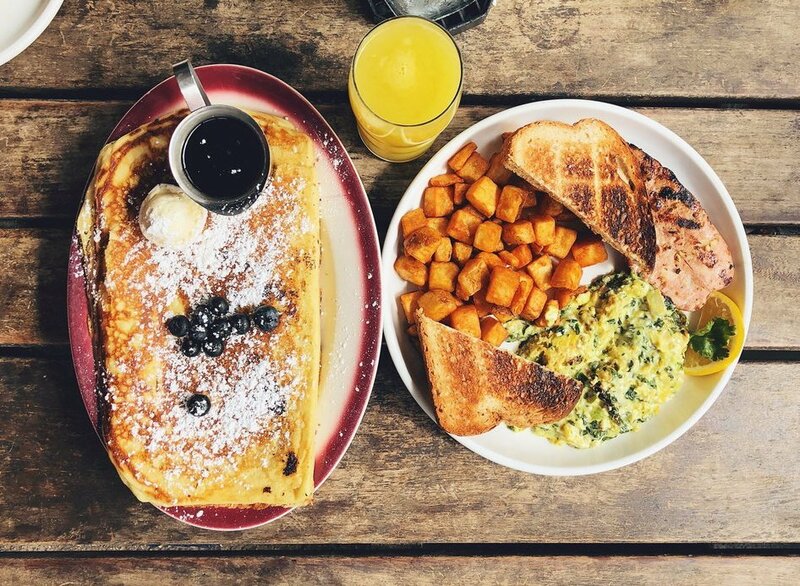 We've got you covered with a list of the best places to score a better-for-you brunch. This Midtown hot spot knows how to do brunch. Not only will you find creatively healthy dishes like Roasted Carrot pizza, Orange Pistachio Cherry Granola, and Mushroom Toast, but you’ll also be greeted with an impressive brunch cocktail list. Quench your thirst with a spicy Michelada or a Bellini Minor mocktail, either way, you won't be disappointed. 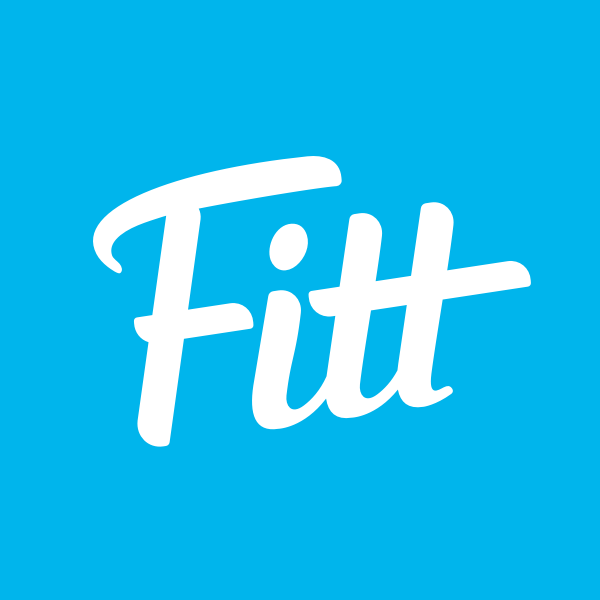 Fitt Tip: order a bottle of bubbly and get a carafe of OJ on the house! Tucked away on a backstreet (nope, the restaurant isn’t named after your favorite boy band) in between Shepherd and West Grey, this brunch spot is so cozy you’ll want to move right in. The menu is extensive, so it’s easy to get overwhelmed, but you can lean on us for some healthy suggestions, like the Charred Cauliflower and Shishito Peppers or Red Pear Salad. And if you’re in the mood for something toasted, choose between house-cured salmon, avocado, or almond butter on, well... toast. Okay runners and cyclists, this one is for you (at least from a convenience standpoint). 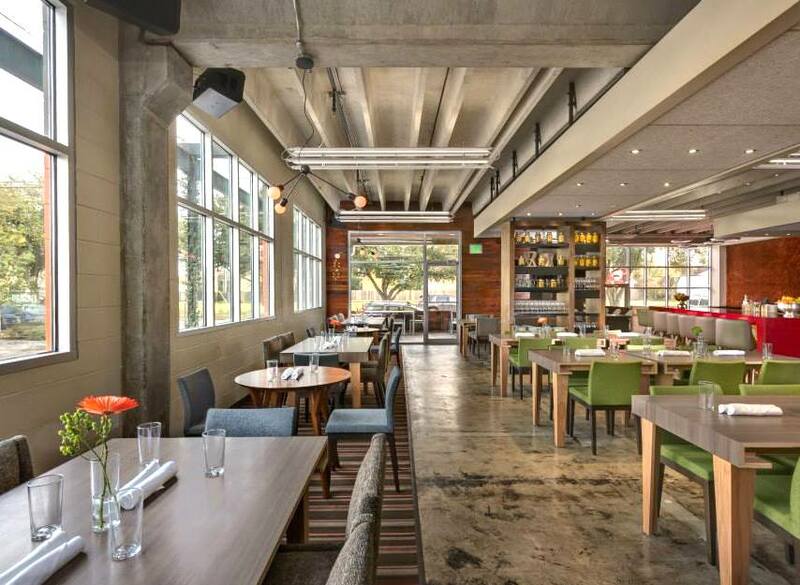 As the only restaurant right on the banks of Buffalo Bayou, The Kitchen at The Dunlavy is ideal for a post-workout brunch. Enjoy healthy delicacies like chia seed pudding, avocado toast, and a grain bowl all made with produce sourced from one of their three on-site gardens. When you’re done brunching, you'll be in the perfect position to walk it off along the bayou or catch a yoga class across the street at BIG Power Yoga. If you’ve been around the Houston brunch block, chances are you’ve heard about Barnaby’s Cafe. With eight different locations, this city favorite is a go-to spot for a healthy brunch. You can’t go wrong with the hearty and protein-packed Buffalo Scramble made with ground buffalo, onion, mushroom, spinach, and egg whites. But if you're on the search for something simpler, the Honey & Walnut Greek Yogurt is the move. Order a grapefruit juice or delicious cappuccino to go along with your meal and you'll be ready to take on the rest of the day. 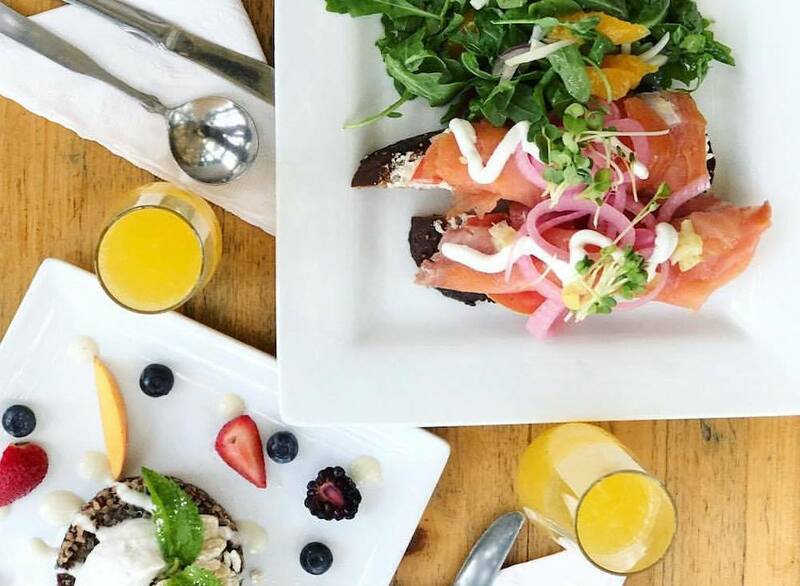 When an epic brunch spread is what you're after, you’ll want to head to Tout Suite on Commerce St. We recommend diving into the TS Toast Series, allowing you to choose between avocado, garlic hummus, or house-cured applewood salmon. Or, if you can’t choose (and why should you? ), get the sampler of all three. For a lighter option the acai bowl that you can load up with chia, flax, and pumpkin seeds is another favorite. Oh, and getting coffee here is an absolute must. Not only is it expertly crafted, but they also have Stumptown Cold Brew on tap. When a restaurant opens in Houston and then sets up a sister in Manhattan (instead of the other way around), you know it must be good. 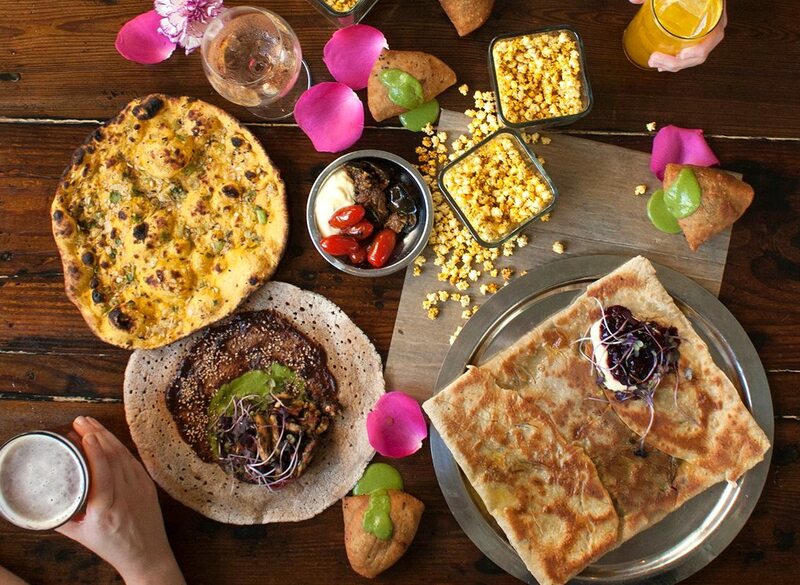 This Indian fusion restaurant serves up something tasty for every meal of the day, but with spiced coffees and fresh pastries on the regular, brunch is extra special. Take your pick of delicious entrées like the Breakfast Frankie with masala eggs and cilantro chutney or the gluten-free avocado dosa. Bonus: Pondi is in the same shopping center as boutique cycling and yoga concept Revolution Studio, so you can earn your brunch with a fierce hustle and flow. You can also find at a slimmed-down breakfast menu at their Bake Lab + Shop on Kirby Dr. 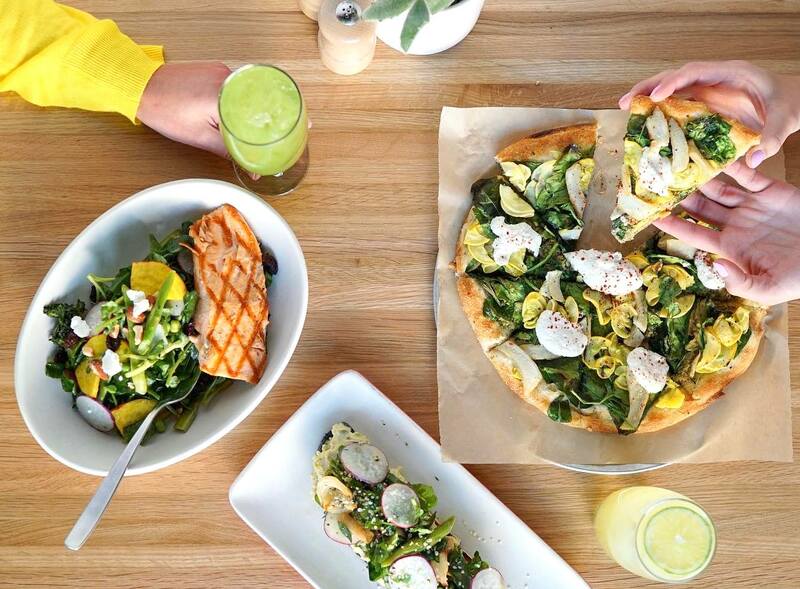 True Food Kitchen in the Galleria area and The Woodlands has healthy eating down pat, but that doesn't mean boring salads and flavorless dishes. At this place, they aren’t afraid to get a little wild with seasonal ingredients and unique dressings (hello cashew poblano ranch). Order up an organic, veggie-heavy selection like the Garden Scramble and pair it with a fun brunch cocktail like the Honeydew Mimosa, for a meal you won't soon forget. 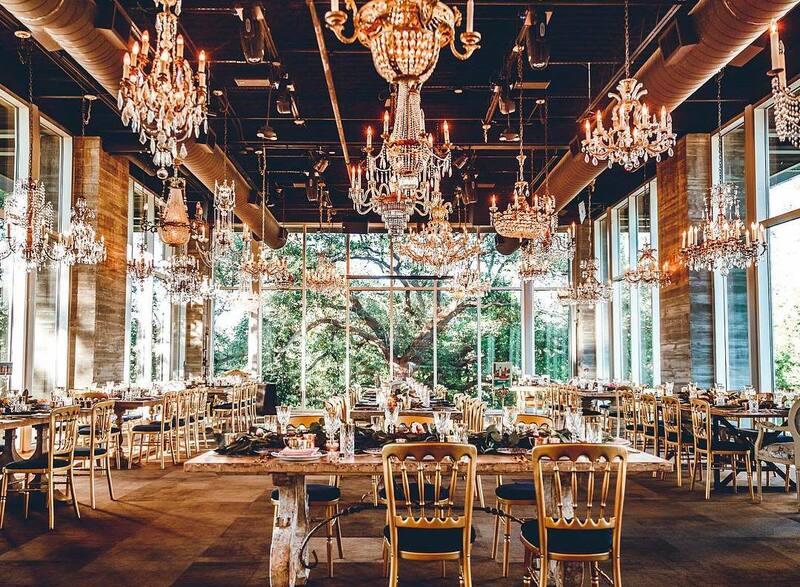 Consistently ranked one of the top picks for breakfast and brunch in Houston, this refreshing farm-to-table eatery needs no introduction. From a mouth-watering Pork Belly Hash featuring cage-free eggs and house avocado hollandaise to irresistible breakfast tacos, Dish Society’s menu features distinct, locally-sourced, and super flavorful options for everyone. 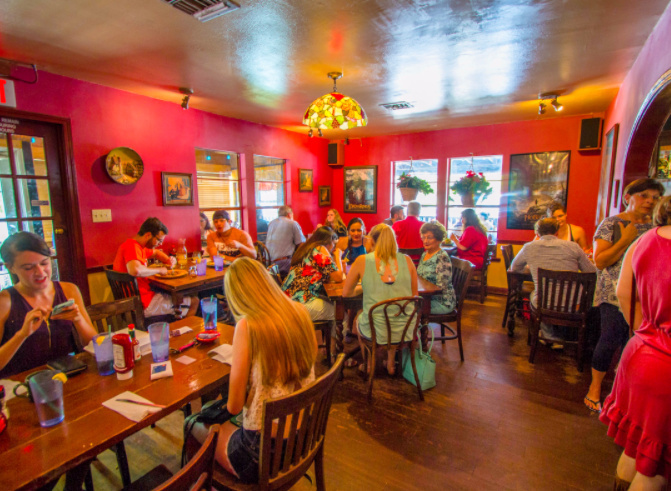 And with five locations in different parts of town (The Heights, downtown, Katy’s Cinco Ranch, the Galleria, and Memorial), you’re never too far from a satisfying meal! 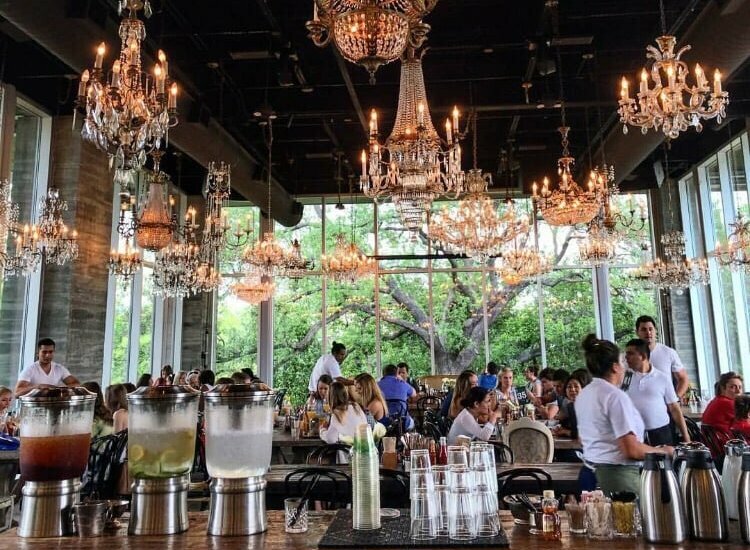 The patio at Brasil is a fave for Houston’s brunch community, and since it also happens to be situated at the corner of Dunlavy and Westheimer in Montrose, it’s great for people-watching, too! Though, you’ll probably only have eyes for your plate once it arrives. We love the variety of options, especially because they offer menu items with a little extra Texas flavor, like the Tamales & Eggs. Just remember to check out the chalkboard for the daily specials while you’re waiting in line! If you haven’t yet sampled from Adair’s morning menu of freshly-made comfort foods, we suggest you make this next weekend's brunch stop. 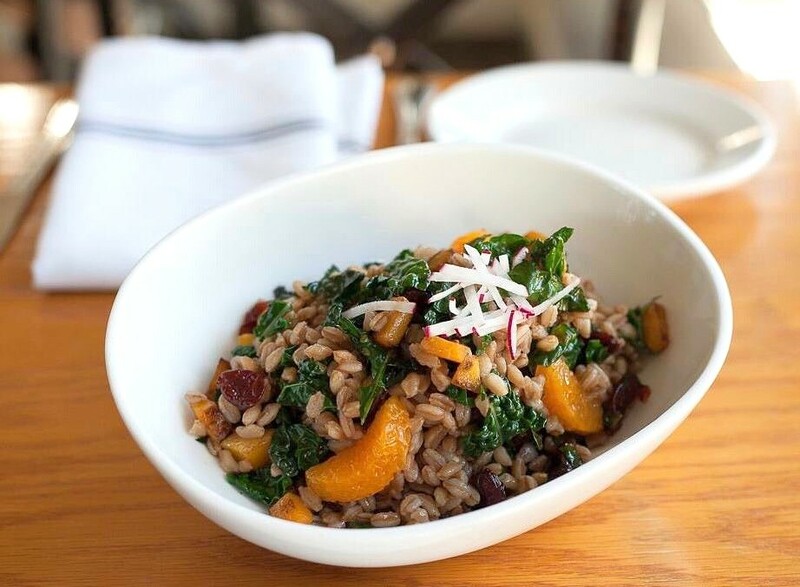 Each morning meal is made from locally-sourced ingredients and tastes like a million bucks — so whether you’re drawn to the Breakfast Bowl (forbidden red rice, balsamic kale, roasted prosciutto, sweet potatoes, black beans, avocado, and poached eggs) or the House Made Granola Bowl, you’ll be glad you braved the AM Galleria traffic to try out this gem. 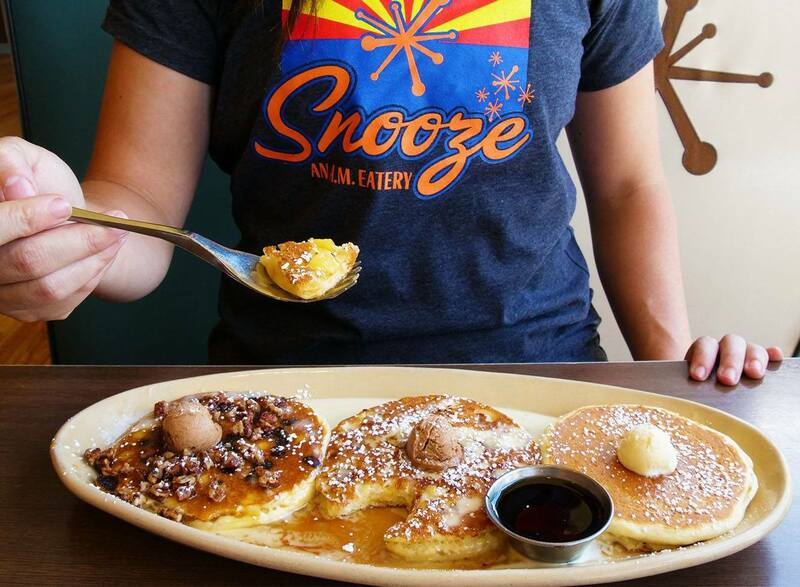 For a fresh take on American breakfast classics, Snooze has your back — and your brunch. 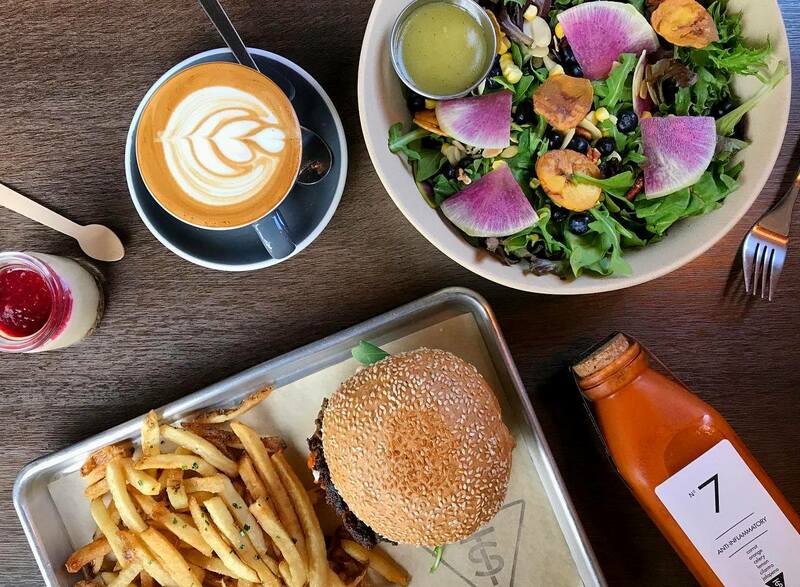 From its humble beginnings in Colorado, this AM eatery prioritizes quality ingredients, sustainable business practices, and community by ensuring their restaurants are a fun place to gather for indulgent foodies and health enthusiasts alike. It doesn’t matter if you’re vegan, paleo, or trying to forego gluten — this place has a dish with your name on it (you'll just have to look past a menu dedicated to Benedicts to get to the good-for-you options like their Makin' It Grain Bowl). And with seven different locations currently open in H-town, you'll never have to figure out where you'll be spending your weekend brunch. Welcome to Houston’s version of The Shire, where friends congregate over healthy grub and free-flowing beer! Seriously, though, this adorable cafe in Upper Kirby was designed to appear part treehouse and part cottage, so it's the perfect place to settle in and stay for awhile. You don’t have to be a Tolkien fan to appreciate the originality of this place, but you do have to come hungry. For an out-of-this-world savory brunch, try their Portobello Mushroom Fajitas and Eggs, or choose from one of their many vegetarian options. Whatever you choose, your taste buds will thank you.